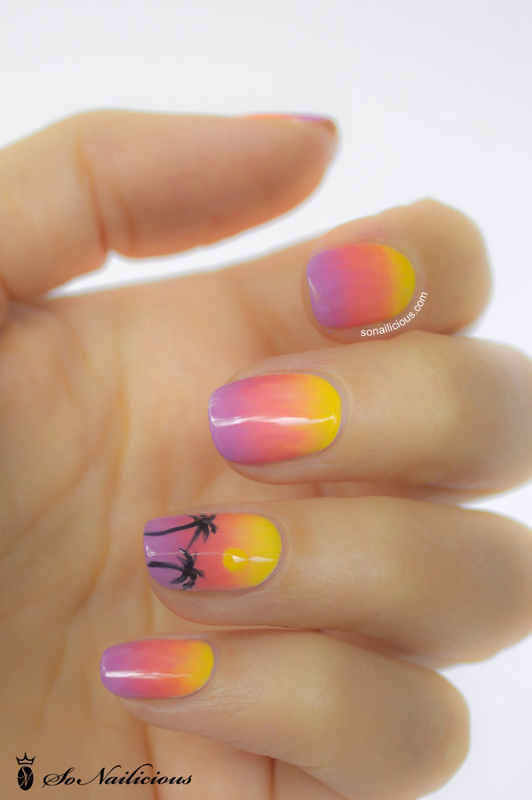 Ombre nails were one of the biggest nail trends of 2012 and their popularity is only increasing in 2013. 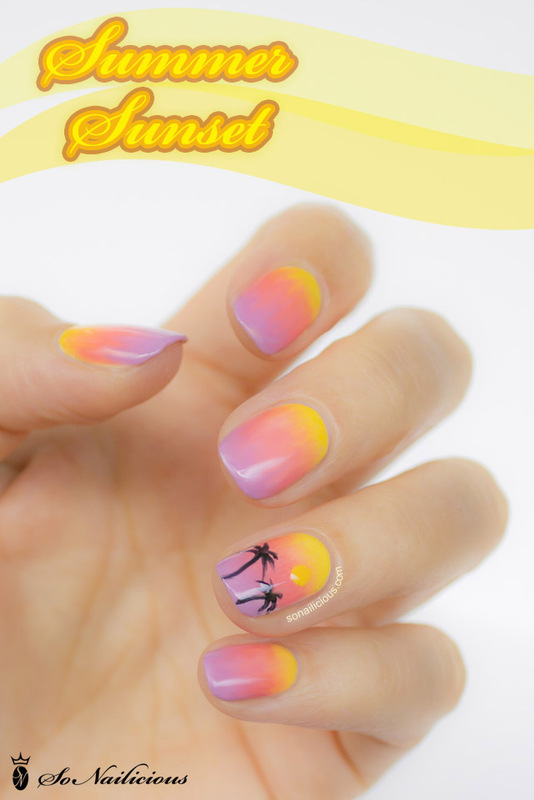 No wonder, ombre nails are so uniquely beautiful and the colour palette is enormous! From statement neon ombre nails to classic beige or black for the day. 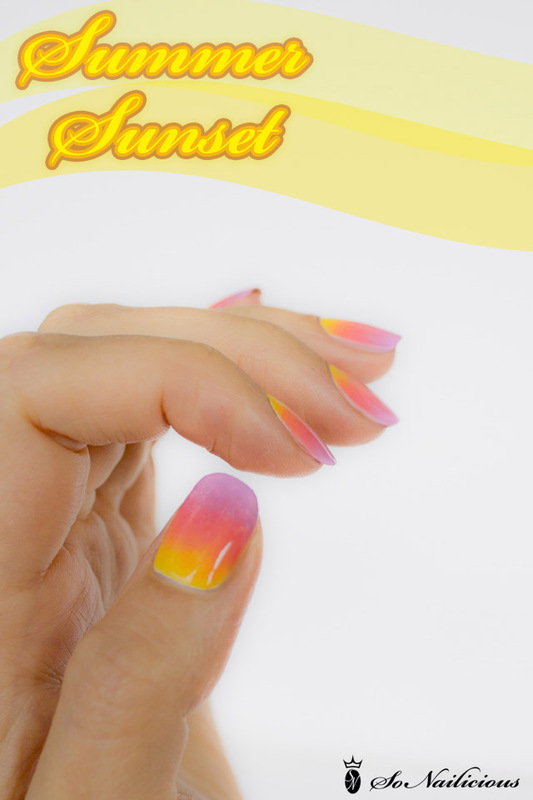 As for my nails, there were inspired by the sunset colours that I saw while in Melbourne. Watching sunset over the beach is one of my favorite things to do in life. 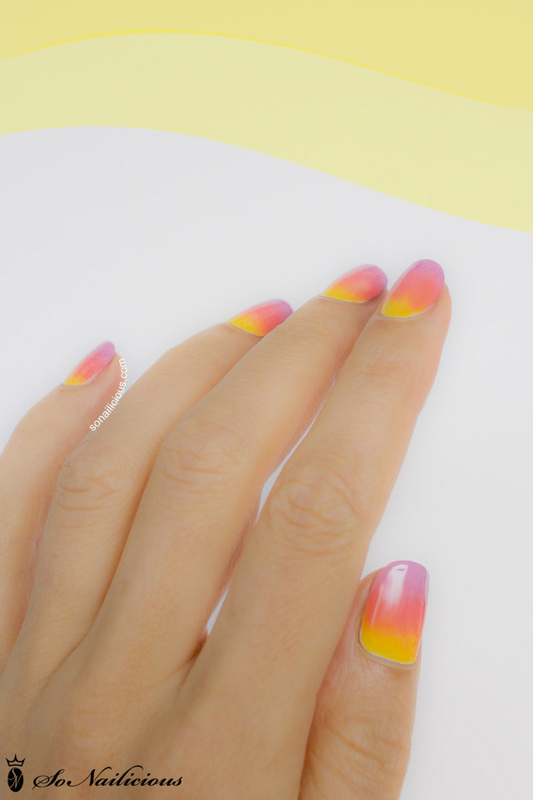 Want to learn how to do these fabulous Ombre nails? 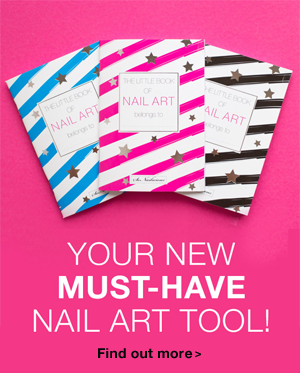 Grab a copy of our 30 Easy Nail Art Designs & Tutorials e-book! The book includes 30 step by step pictorial tutorials with detailed written instructions, product breakdowns and more. 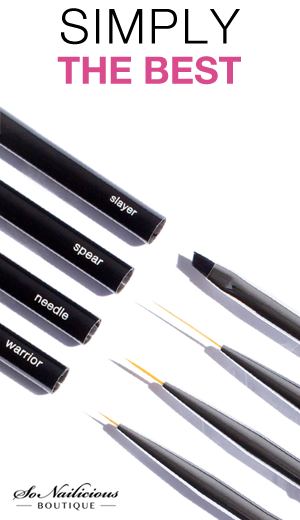 There’s even nail art insider tricks and tips that show you how to re-create all 30 designs flawlessly! To stay up to date with us subscribe to SoNailicious Weekly newsletter here.